Seen here in 2012, Trevor Noah was announced Monday as the new host of The Daily Show on Comedy Central. 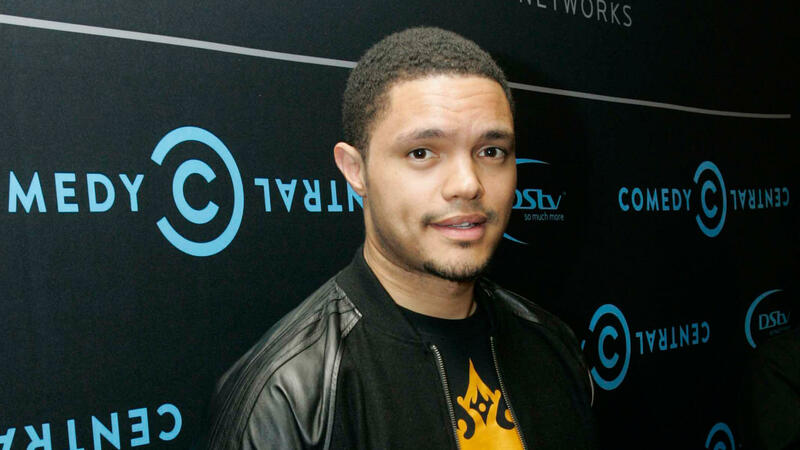 We learned Monday morning what will become of The Daily Show on Comedy Central after Jon Stewart departs: It will be hosted by Trevor Noah, a 31-year-old South African comedian who joined the show as a contributor in December of last year, where he opened with a joke about fearing the police in the United States more than the police in South Africa. We won't know much about the shape of the new (or at least different) show for a while, but there are a few things to chew over in the wake of this news. 1. Noah has a couple of demographic characteristics not in common with Stewart or with much (but not all) of the rest of late-night comedy: He's young (only 31), he's biracial and he's not American. He's also a guy who does a lot of comedy about race in his own standup, as in a set from London where he talks about how the marriage of his parents (as well as his birth) was actually illegal, and how his mother had to drop his hand and pretend not to be his mother in front of the police. ("I felt like a bag of weed.") It's not just the fact that Noah is biracial that makes him feel like a choice relevant to the moment; it's the fact that he's a performer who does a lot of very pointed material about race who's taking over the show at a time when Stewart, too, was spending a lot of time talking about it. Picking Noah also means the show's coverage of the upcoming presidential election — historically some of its most-discussed work — will be headed up by someone who isn't an American. That would have seemed like more of a headline, perhaps, prior to the ascendancy of John Oliver, who not only was a star on The Daily Show, but has now established himself as a commentator on American politics over on his own show on HBO, Last Week Tonight. 2. It might seem surprising that they would have Noah take over after such a short time with the show, but they undoubtedly vetted him pretty thoroughly before they added him in the first place. In a lot of ways, it's probably smart to pick somebody who is of the show, but not too much of the show. Had they chosen one of the veteran correspondents who was so closely associated with Stewart's version of The Daily Show, the old host's absence might have felt more glaring. This pick provides some continuity but also a solid break between the old and the new, and perhaps some chance at making it his own. 3. Coverage of The Daily Show has historically treated it as a pure expression of Stewart's sensibility, despite the fact that he's supported by a staff of writers and producers. (Honestly, it's a common problem with visible hosts and their invisible collaborators.) With Noah being so much younger and newer to the scene than Stewart has been for many, many years — and so much less familiar to much of the audience — we may see a shift toward the show being treated as less of a tour de force and more of a collaboration, which probably represents it more honestly, particularly while he's getting himself established. 4. Speaking of writers, it will be interesting to see whether the existing writing staff sticks around without Stewart. Having to populate that writers' room with new people would represent both a huge challenge and a huge opportunity. 5. And finally, for perspective's sake, it's important to remember that Jon Stewart today is an institution, but Jon Stewart when he took over the show from Craig Kilborn in early 1999 was not. David Letterman was coming off a canceled daytime show when he got into late night, and Conan O'Brien was a little-known camera presence when he got Letterman's old job. The goofy idea of clear trajectories — the idea that informed, crowdsourced, listicled speculation ought to be able to produce the most logical person to occupy every job based on publicly available lists of accomplishments and pro/con rundowns — is one that we're probably lucky people don't actually pay attention to.